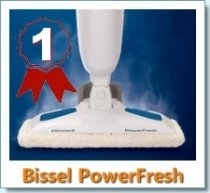 This was the first steam mop Bionaire introduced into the market and it hasn’t been a success. The mop wasn’t well thought out and couldn’t keep up with a very competitive market of a wide variety of specialized and affordable mops. The Bionaire steam mop is one of the furtive steam mops on the market. Why furtive? Because it’s definitely a newcomer and you just may have overlooked it. Have no fear, as best-steam-reviews.com has you covered and we will now present an in-depth look at this steamer so you can determine whether it’s worth your time and energy or not. To start, the steamer can be purchased conveniently on Amazon and the price range is set at between $39 – $59. First off, the Bonaire has a clean and metallic structure that definitely looks like a mean cleaning machine. Many other steam mops give the appearance of being fragile and easy to break, but the Sensio Bionaire is quite impressively built at first glance. The Sensio Bonaire can be used to clean a variety of floor types, from tile to marble, concrete etc. However, it also has a carpet glider attachment which allows you to steam clean the carpets as well. This is extremely convenient if you’re like me and fanatical about your carpet’s cleanliness. The great thing about being able to clean your carpets with this lightweight steam mop is that you can use the power of steam without having to pull out one of your heavy duty carpet steam cleaners. These machines are usually bulky and can be quite stressful to use on a daily basis. This steam mop really helps to make cleaning maintenance much easier by allowing you to lightly steam your carpets and rugs whenever you need to. The dimensions are set at 28.8 inches x 5.6 inches x 12.7 inches. The electrical cord length is 11.5 feet which can be short if you have a large steam cleaning space to cover. However, for many people this is a sufficient length, so you need to decide which category you fall into. Fortunately, this does not mean you have to forgo a particular machine due its cord length as there are always extension cords which provide more length as needed. This steamer has a light indicator which turns red when the water levels are running dangerously low. This is one of the best safety functions to have as it is important to remember that heat and steam can be dangerous under the wrong circumstances. The shape of the Bionaire’s mop head is ergonomic and triangular which is essential in order to comfortably work around furniture and household appliances. It is also particularly useful when cleaning bathrooms or around toilets as it prevents you from having to get too close to the unmentionables! There are actually quite few reviews available online about this steam mop, but don’t worry, we’ve read them all! See below for a quick summary on some of the customer’s reviews of this mop. Some consumers found that the mop worked extremely well when used on a regular basis. 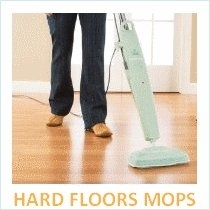 The moisture from the steam dries within minutes unlike many other steam mops. This is great if you are on the fence about purchasing a steamer that leaks. Thankfully, the kind folks at Sensio got this part right. Unfortunately, many customers found that there were numerous problems with the strength of the handle. It seems as though this is quite easy to break and a lot of due care should be exercised when using it. Most consumers reported that this is a lightweight mop that will do reasonably well with light cleaning jobs, but not to expect to get any heavy duty cleaning done with it. In conclusion, this is a lightweight mop that is meant for light weight tasks. 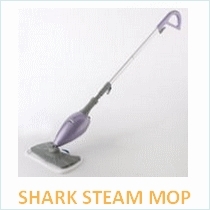 It is competitively priced at under $60 which is much less than other brands of steam mops out there such as the Shark, Bissell, Haan, Monster etc. If you are new to steam cleaning and don’t want to spend a lot of money, then the Bionaire steam mop might be worth a try. However, please be sure to read the reviews before buying and do due diligence before any purchases. Remember, it is also important to shop wisely! If possible, you should always do a quick Google search for rebates and coupons if you’re short on cash.